A Sermon, Delivered before the General Convention of the Protestant Episcopal Church in the United States of America, in St. Michael's Church, Trenton, New-Jersey, on Friday, September 11, 1801, on the Occasion of the Meeting of Said Convention, and of the Consecration of the Right Reverend Bishop Moore, of New-York. New-York: Printed by T. & J. Swords, 1801. Record of the Proceedings of a Board of Clergy, Canonically Constituted for the Purpose of Trying the Truth of Certain Charges Contained in a Presentment Made to the Right Rev. Benjamin Moore, D.D. against the Rev. John Ireland. New-York: Printed by T. and J. Swords, 1810. A Second Solemn Appeal to the Church: Containing Remarks and Strictures on the Late Violent Proceedings of a Pretended Ecclesiastical Court Against the Author. A Sermon Delivered in Grace Church, New-York, March 3d, 1816 Being the Sunday Following the Death of the Right Rev. 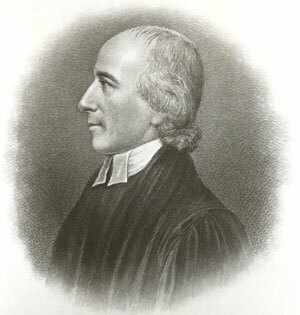 Benjamin Moore, D.D., Bishop of the Protestant Episcopal Church in the State of New-York. New-York: Printed by George Long, 1816. A Funeral Address Delivered at the Interment of the Right Rev. 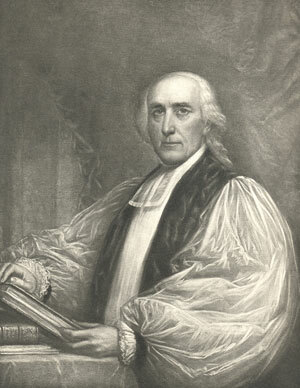 Benjamin Moore, D.D., Bishop of the Protestant Episcopal Church in the State of New-York; and Rector of Trinity Church in the City of New-York, on Friday the First Day of March, 1816, in Trinity Church. Episcopal Acts Performed by the Right Rev. Benjamin Moore, D.D., Bishop of the Protestant Episcopal Church in the Diocese of New York 1800-1812. New York: Daniel Dana, Jr., 1859. A Sermon Occasioned by the Death of the Revd. Dr. Auchmuty, Rector of Trinity Church, in the City of New-York. Preached March 9, 1777. New-York: Printed by Hugh Gaine, 1777. A Sermon Preached in St. George's Chapel, in the City of New York, on Sunday, July 15, 1787, being the Day on Which the First Ordination Was Held by the Right Revd. Doctor Samuel Provost. New-York: Printed by Hugh Gaine, 1787. The Doctrine of Regeneration Asserted and Explained: A Sermon, Preached in St. George's Chapel, New York, July 7, 1791. New-York: Printed by Hugh Gaine, 1791. An Address to the Members of the Protestant Episcopal Church in the City of New-York Occasioned by the Appendix to Dr. Linn's Sermon on the Character of Simon the Sorcerer. New-York: Printed by Hugh Gaine, 1793. Pastoral Letter to the Members of the Protestant Episcopal Church in the State of New York. New York: Printed by T. & J. Swords, 1801. The Charge of the Right Reverend Benjamin Moore, D.D., Bishop of the Protestant Episcopal Church in the State of New-York Delivered to the Convention of Said Church, on the Fifth Day of October, in the Year of Our Lord 1802. New-York: Printed by T. and J. Swords, 1803. A Sermon, Preached before the General Convention of the Protestant Episcopal Church in the United States of America, in the City of New-York, on Wednesday, September 12, 1804. New-York: Printed by T. and J. Swords, 1804. The Duty of Fulfilling All Righteousness Explained and Enforced in a Sermon. New-York: Printed by T. & J. Swords, 1806. A Charge Delivered to the Convention of the Protestant Episcopal Church in the State of New-York, October 5, 1808. New-York: Printed by T. & J. Swords, 1809. A Sermon, Preached before the Convention of the Protestant Episcopal Church in the State of New-York, October 3, 1809. New-York: Printed by T. and J. Swords, 1809. Sermon, Preached before the Bible and Common Prayer Book Society of New-York, in Trinity Church, Feb. 27, 1810 and Published at the Request and for the Benefit of the Same.